Vitamin B12 is an essential nutrient that helps support energy and general wellbeing, so how can you ensure you’re getting enough? Vitamin B12, also known as cobalamin, is an essential vitamin, and one of the eight water-soluble B vitamins. 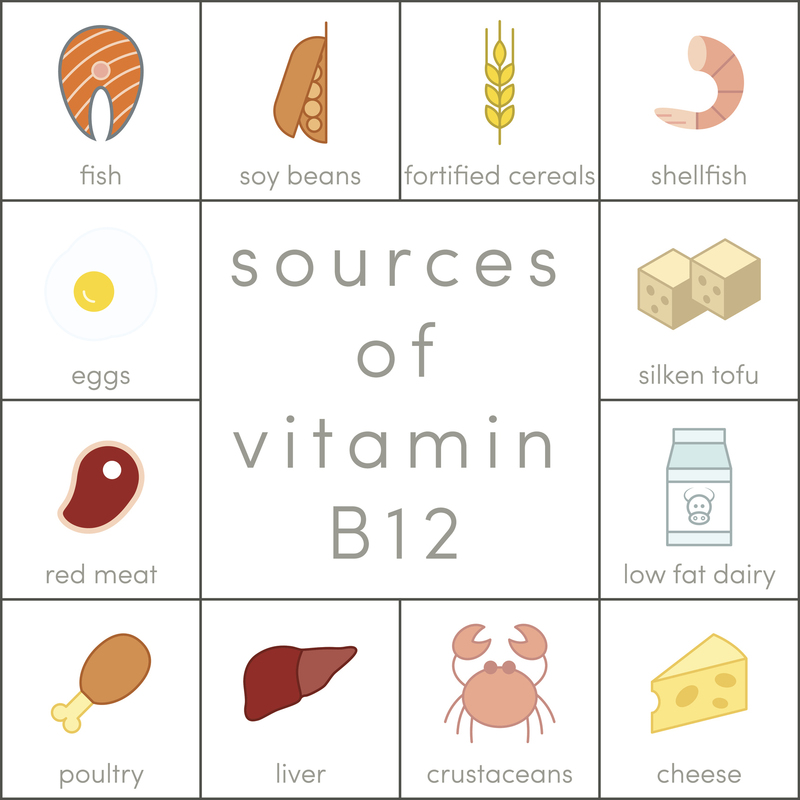 Vitamin B12 plays a role in the blood where it’s needed for the production of red blood cells. It also plays a role in the nervous system where it’s involved the formation of the myelin sheath around nerve cells. Myelin insulates nerve cells and increases the speed at which they communicate. What are the benefits of vitamin B12? Vitamin B12 is mostly found from animal sources in our diets and while we do make some B12 in our bodies through gut bacteria, it’s not always well-absorbed. Food sources include beef, pork, chicken, lamb, organ meats like liver and kidney, eggs, dairy products, and fish and shellfish. Fortified grains and cereals are also available as a source of vitamin B12. The amount of vitamin B12 recommended each day varies by age and gender. What factors affect vitamin B12 levels? Because animal sources of food are where we get vitamin B12 from in our diets, vegans and vegetarians are at higher risk of vitamin B12 deficiency . Older adults also need to ensure an adequate intake of vitamin B12. As we age the production of stomach acid may decline, which reduces the amount of vitamin B12 that we absorb. Although including animal foods in your diet should ensure that you maintain adequate levels of B12, some people have an issue absorbing B12 from food and may still be deficient. In this case, your health practitioner may recommend a supplement containing B12. The difference between getting B12 from a supplement rather than from food is that in supplement form B12 is not bound to a protein so it doesn’t need stomach acid to detach it before it can be absorbed. If you think you might be suffering from low B12 levels, consult your healthcare professional.